Ghost® is a 30+ liter backpack, scalable and well suited for the role of tactical 3-day pack. It features main pack with two zippered compartments – first, larger, has an internal hydration sleeve and an accessory mesh pocket. Second, accessible from the back side of the pack is reinforced and will hold a large laptop computer. Third pocket of the Ghost® platform is a detachable organizer pocket, completely separable from the main pack body. 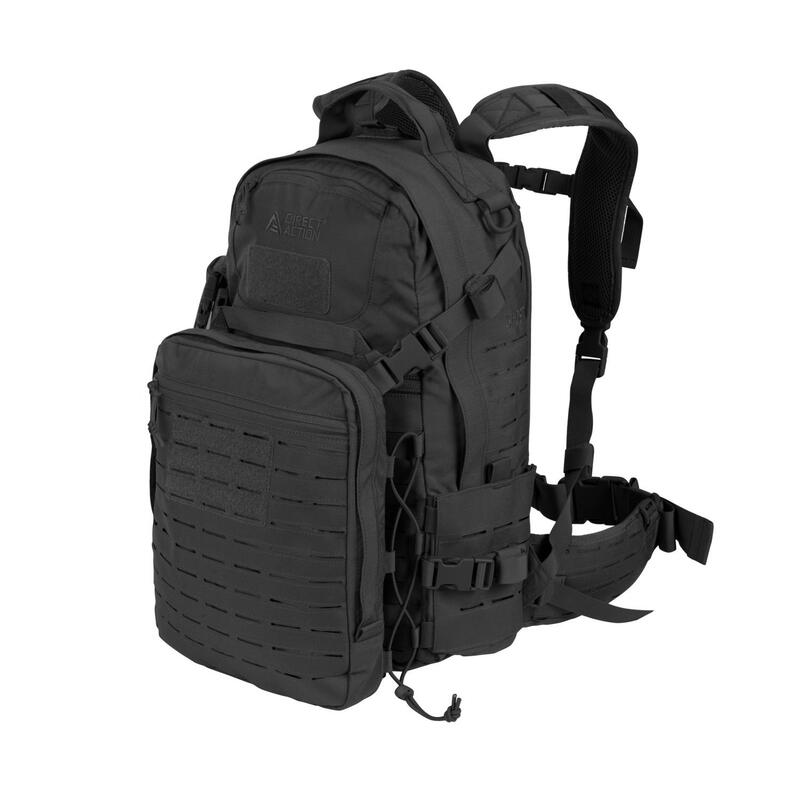 Normally, it is attached to the main pack via 4 buckles and adjustable shockcord, but it may be used completely on its own (it has its own carrying handle) for medical supplies etc. Internally this outer pocket has a lot of internal slots and pockets for gear organization, plus when attached to the Ghost® main pack it forms a beavertail-type flap, where you can pack additional clothing or lighter gear. Externally, there are 4 pockets – two side pockets that may be stretched to fit water bottles. Additionally, there is a zippered, soft velour lined, glasses pocket in the upper portion of the pack and a flat zippered pocket below it. Carrying straps of the Ghost® backpack are wide, and padded with stiffened closed cell foam, with side release buckles for quick doffing. Waistbelt of the Ghost® pack is a fully functional PALS/MOLLE belt that can be detached from the main body and used on its own with included low-profile suspenders.